Today I’m pleased to introduce an exciting segment featuring Artfinder.com, a London-based online fine art vendor selling artwork from around the world. This website has the most extensive collection of fine art, available for purchase globally including the United States. This multi-part Artfinder collaboration will showcase 3 Artfinder artists over the course of this summer, who I’ve personally selected for the Interiors by Jacquin Artist Spotlight Series. 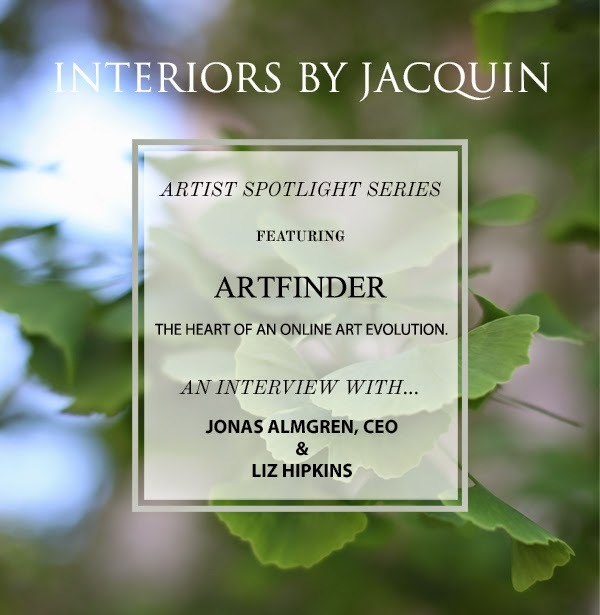 Today I’m interviewing two great members of the Artfinder team: Jonas Almgren, CEO and Liz Hipkins. Jonas Almgren, Artfinder CEO photographed at an Artfinder event. Jacquin: Hi Jonas! 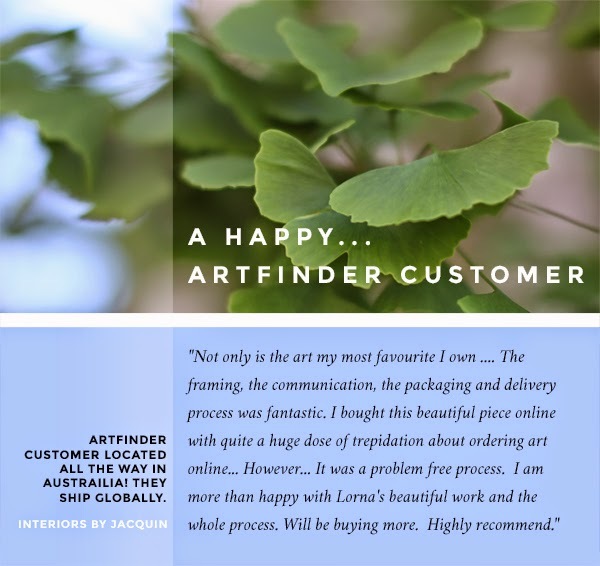 I’m excited about our collaboration and the opportunity to learn more about you and the Artfinder team. What’s your favorite thing about your job? Jacquin: Show us your favorite contemporary work of art right now from Artfinder! Jonas: There are so many great artworks on Artfinder, and I see probably a dozen new works every day that I find exceptional. I really like when an artwork surprises me, forces me to see something with new eyes, though exceptional technique can be very exciting too. Recently I’ve been paying attention to the abstracts by Richard Kuhn, a German artists that’s been with Artfinder for quite a while. He started out selling brilliant evocative portraits, but has recently ventured into large abstracts, that I find very compelling. 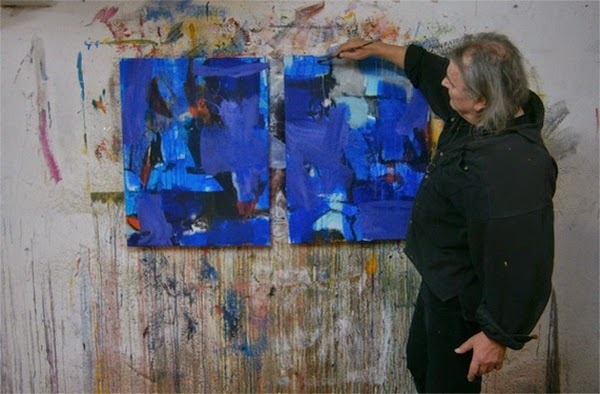 Photo of German artist Richard Kuhn at work. Jacquin: What’s been the most exciting thing about your work so far? Jonas: As with all startups, it’s about building up something from nothing. When we started out, we had a handful of artists and a few hundred artworks. Now we are proud to say that thousands of artists have sold work through Artfinder, and the Artfinder Community includes artists from 95 countries. Gradually we hope to eliminate the “starving artist” syndrome as we enable more artists to live from selling art, while helping buyers find unique artworks that they often can’t find anywhere else. 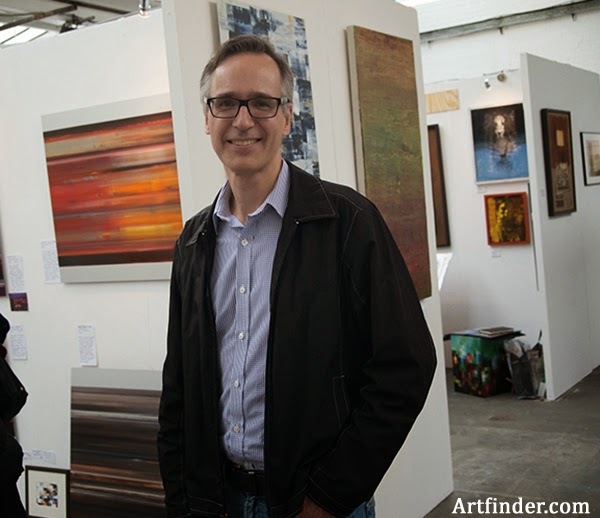 Jacquin: What does Artfinder have in store for the future? Jonas: We’re planning a massive US expansion this year, but we’re also launching several new product features that, among other things, we will support interior decorators and architects with key tools to enhance their project processes. We believe there are plenty of opportunities working directly with businesses and retailers, and this year we intend to give them our full attention. Jacquin: How did you train for you job with Artfinder? 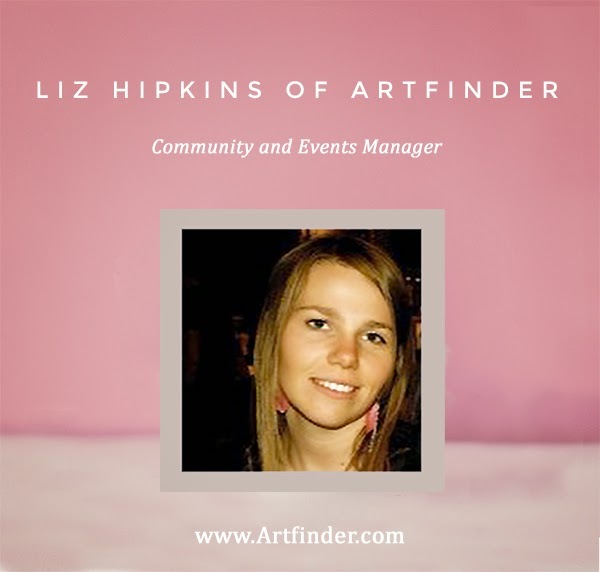 Liz: Prior to working at Artfinder, I worked for 5 years at the Victoria and Albert Museum in London, building out the Membership community and working on a very varied program of events. Before this, my background was actually in music, studying it at university and working for an orchestra, basically submerging myself in the London Arts scene as much as physically possible! Jacquin: How did you come to be interested in art or fine art, specifically? Liz: It is hard to say, my parents have always had a huge interest in culture, visiting historic places of interest, virtually every weekend. I grew up in a very rural part of England and so it wasn’t really that easy to pop to galleries and exhibitions, but I always remember coming on a trip to London as a child and going to the National Gallery for the first time and being surrounded by amazing and admittedly very large artworks! Since then I have always been interested in art and the wider art scene. Jacquin: How does Artfinderpromote its amazing artist? Liz: We promote our artists through our community events. 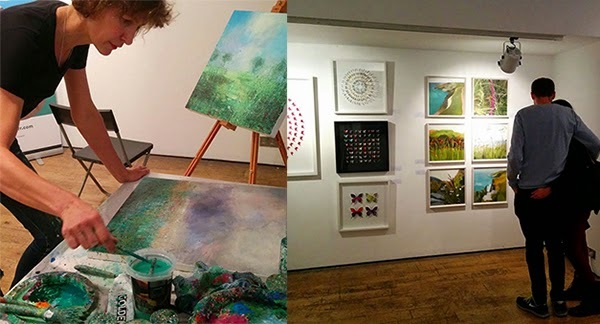 We host Artfinder Pop-Ups which are still in there early days, but these involve displaying physical art by local Artfinder artists, alongside an interactive experience using touch screens which enable visitors to curate their own exhibitions to promote on to the venue walls. 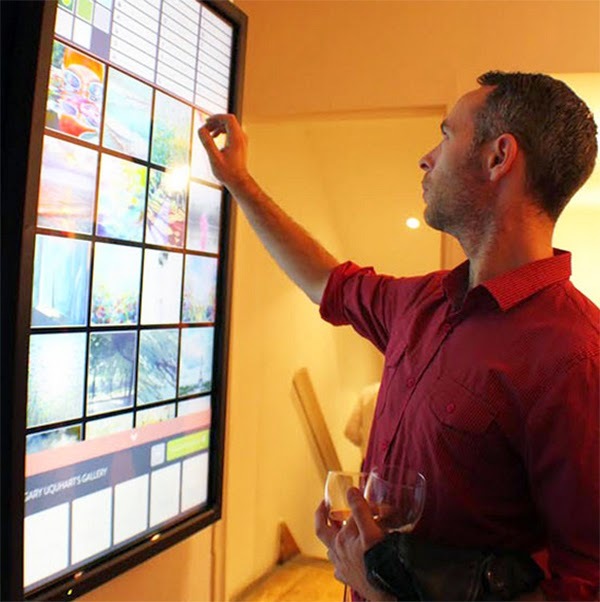 Artfinder Pop-Up Event featuring interactive screens, London. artists, rather than just been limited by the size of the space. Jacquin: Show us a work of art in your home? Why did you choose it? There are several different layers to the work. (see above) Jayne Evans actually took part in an artist demonstration at a recent Artfinder pop-up and it was quite incredible watching her processes and the painting evolve over the time. She is also a lovely artist to speak with! 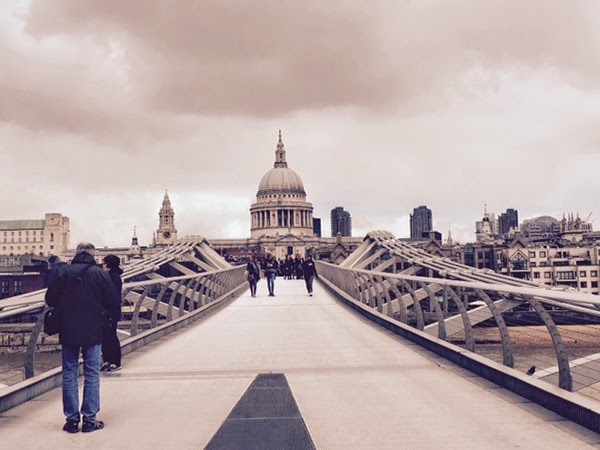 Jacquin: Where do you go for inspiration in London? personality of the owner. With over 100,000 unique artworks to choose from, it’s very much like a matching process. The art you will fall in love with is out there, you just need to find it. It should be art you’re happy to live with. (2) Secondly, you need to consider the interaction with the environment. What impact do you want the art to have on the room where it is placed? Do you want to add colour, do you want to create sense of peace, maybe add some energy, or a fresh feeling of open water or green overgrowth? It’s easy to underestimate the tremendous impact art can have on a room, especially if the art is large. Take advantage of it! 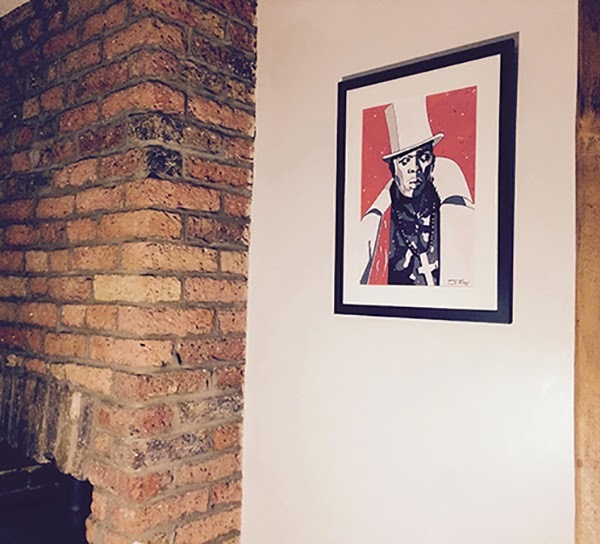 If you’re looking to add artwork to your space, Artfinder is THE place to search. Honestly the best collection of original fine art I’ve seen available for sale on the Internet and it’s so accessible. Stay tuned as I showcase three Artfinder artists this Summer personally selected by me, Jacquin! 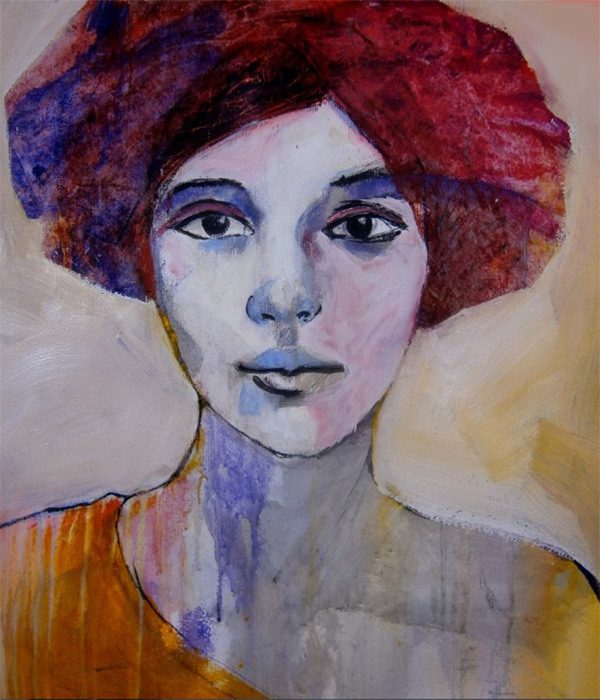 In the meantime, take a look at my earlier feature on Artfinder artist Sal Jones.